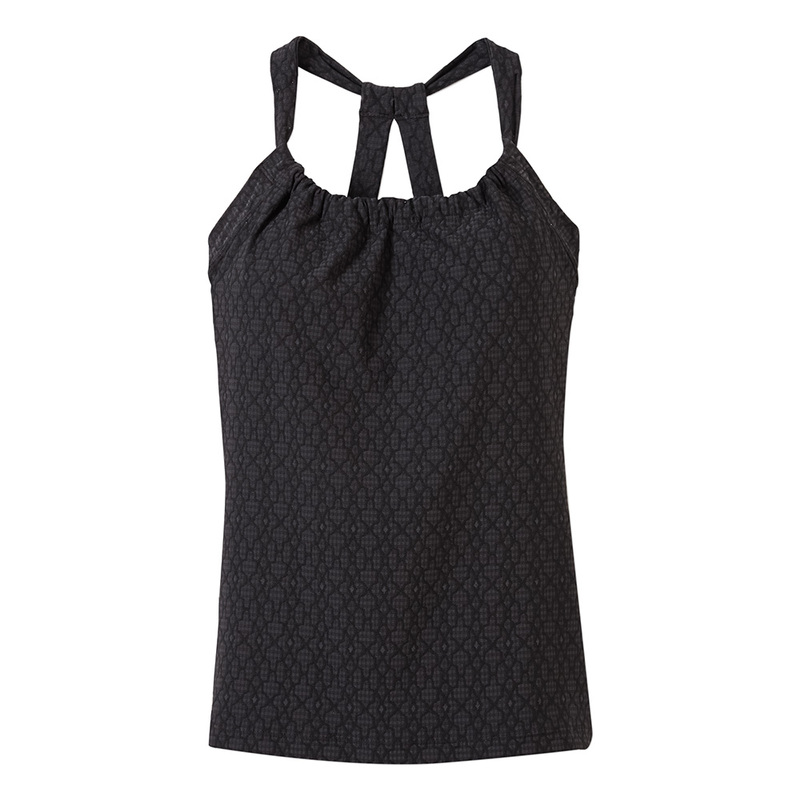 Find your peace of mind with this yoga savvy Quinn Jacquard Top by Prana. With a supportive scoop neck front that includes an interior shelf bra, and the unique double strap racer back, this fitted top will keep you looking chic from every angle. I bought 3 Prana tops and this is the best one. Great fit...NOT too tight, and the bra insert was much better than other tops. I also really like the texture of the material. Highly recommend.